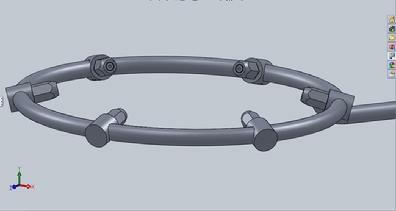 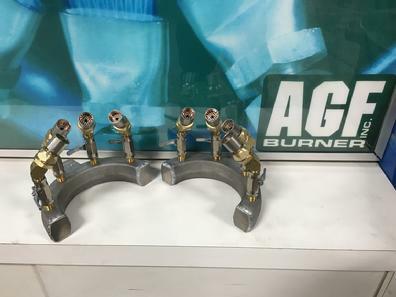 AGF Burner circular manifolds can be supplied for flame treating various size containers utilizing the drip chute method. 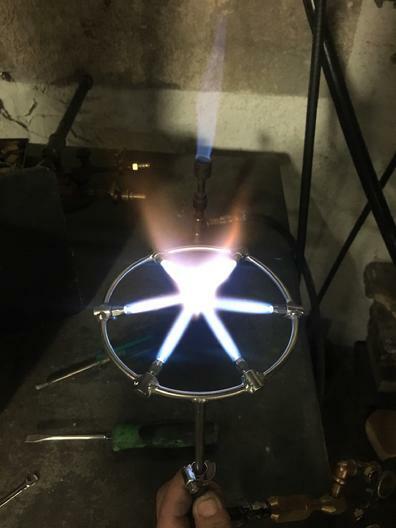 These versatile burners consist of a circular pipe or aluminum manifold with fishtail burners mounted on optimum centers to produce a continuous circle of flame. 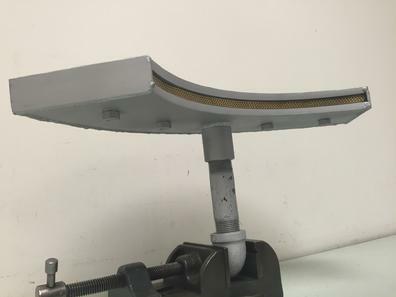 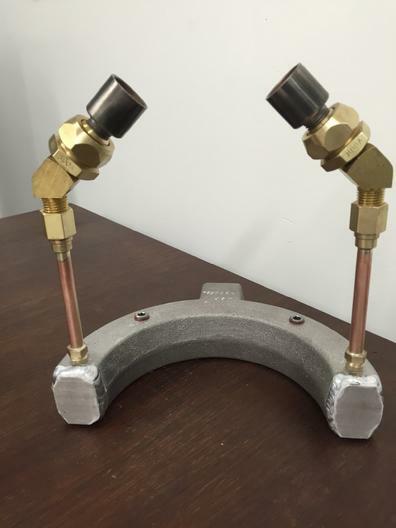 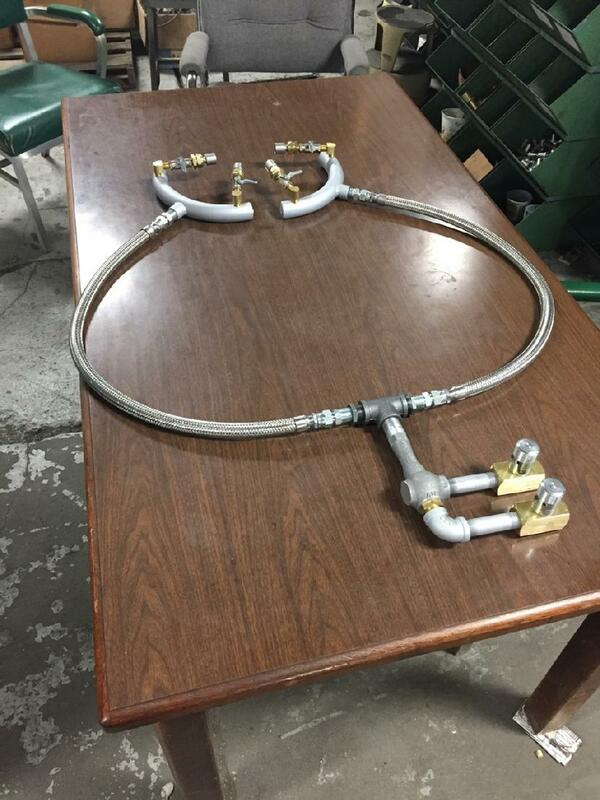 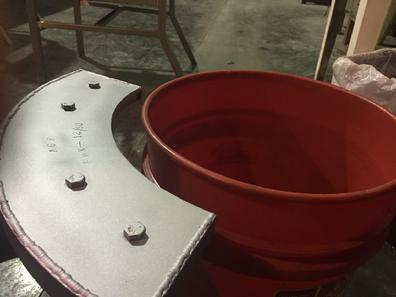 Manifolds can be fabricated for any size container or process and are often outfitted with ball joints to maximize burner position to obtain a desired uniform flame. 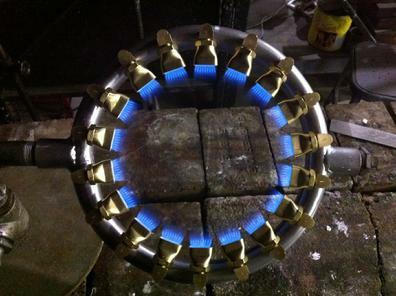 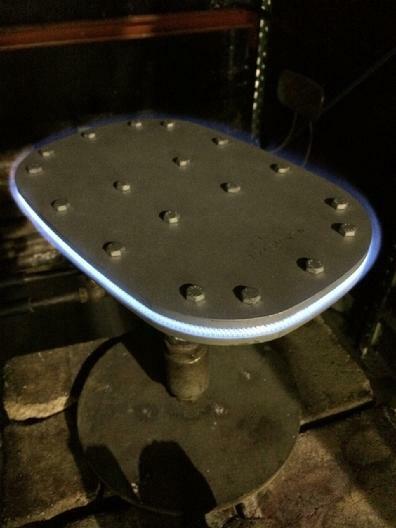 These are the best burners available today to provide uniform circular flame coverage. 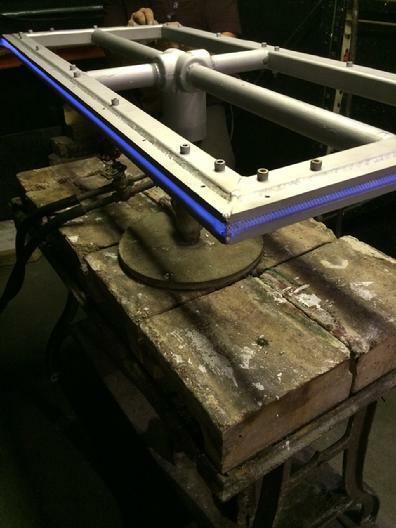 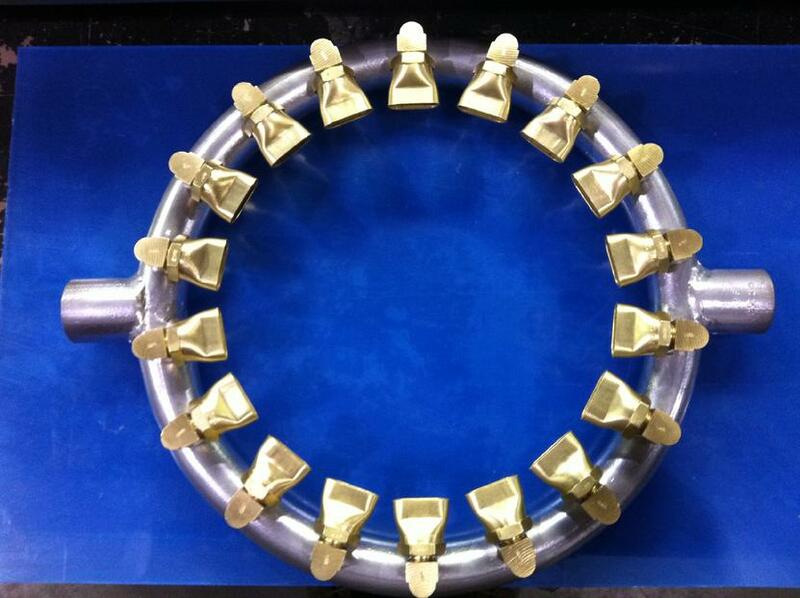 Please contact us for standard or custom applications. 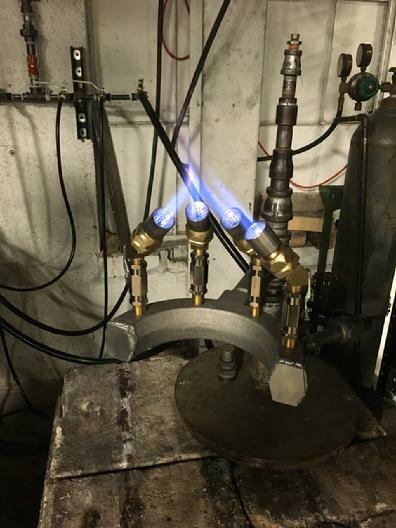 412Z-6: custom torch; 5" OD ring with 6 burner outlet couplings - 1/4" -27; 15 degree angle burner direction. 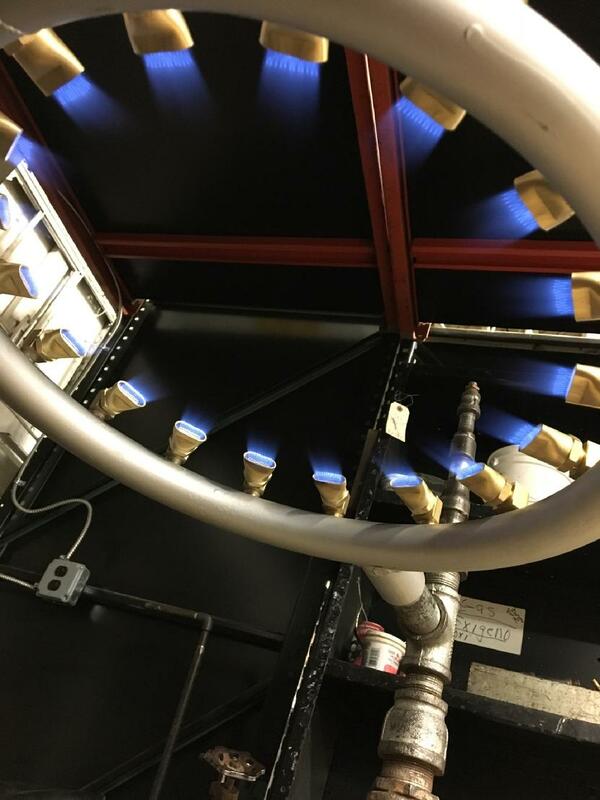 Includes 6 #8DX burners. 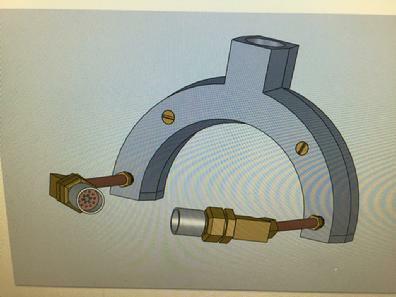 1/4" OD Tube connection (Stainless Steel).